This simple flyer for a play is perfect for schools and community theaters. Its blue design can be adapted to many different productions. The details section is conveniently set up to include dates, times, contact information, and ticket pricing. 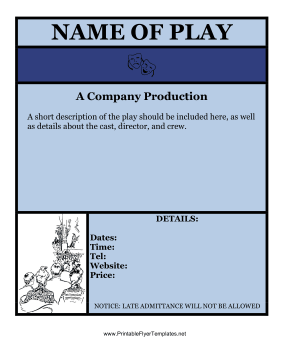 Make your next production a hit by using this flyer!